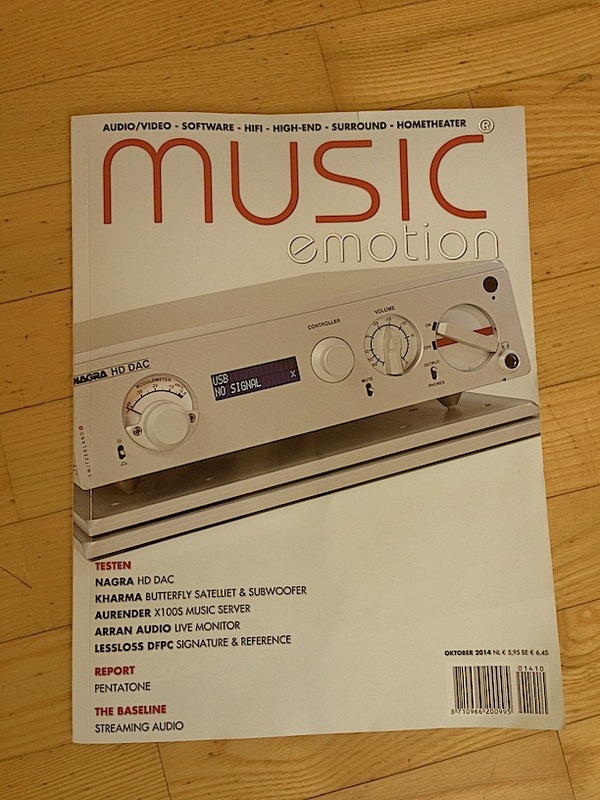 As a matter of policy, Dutch audiophile print magazine Music Emotion only reviews gear distributed by official local Benelux distributors. On this occasion, in October, they chose to make an exception to their policy and featured a rare review of the high performance DFPC Signature and Reference power cables, available directly from LessLoss.com. "LessLoss products possess sonic characteristics that are clearly different and in some cases even better than most others." "They are very balanced and smooth, without tiring fake accents or exaggerated highs." "The first thing I was struck by was their unique nature compared to many others. Typically any such outstanding features would soon arouse my suspicion, but in this case it was an audible experience of positive technical characteristics." "Largely neutral, smooth and highly resolving, coupled with a large and well layered sound stage." "Both LessLoss cables featured a welcome black background and a structure of sound notably more stable than usual." 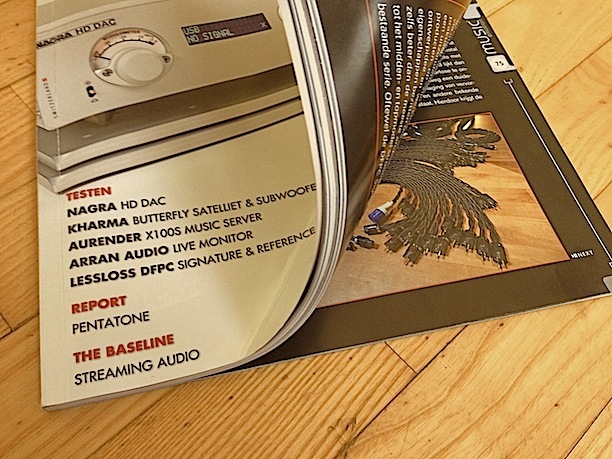 "The very high information density (DFPC Reference) is one of the first things you will experience with these cables. The beauty is that in this case it doesn't come at the expense of dynamics, expression or liveliness compared to many conventional filtering solutions." "The Reference sounds more open, more refined in detail, somewhat more spacious and extremely well defined and delineated." "In direct comparison, the Signature sounds somewhat more closed in and has a somewhat darker timbre. The advantage here is that where the Reference offers extremely high resolving power, where it may be just too much, the Signature can fit just perfectly." "Considering their high performance, robust construction, tightly gripping plugs and very high standard of fit and finish, the pricing is relatively friendly. It's a healthy price / performance ratio." "Their approach and their ideas are indeed refreshing, unusual and professional. Add to this their no-nonsense marketing, excellent workmanship, and product quality, we can rejoice in this valuable addition to the market. Their price tag is remarkably attractive, and delivery is notably smooth and hassle free." "A must therefore for everyone who is in the market for really good power cables that not only offer high resolution, are 'honest,' tonally balanced and musical, but also provide an excellent means of protection from the effects of dirty power."